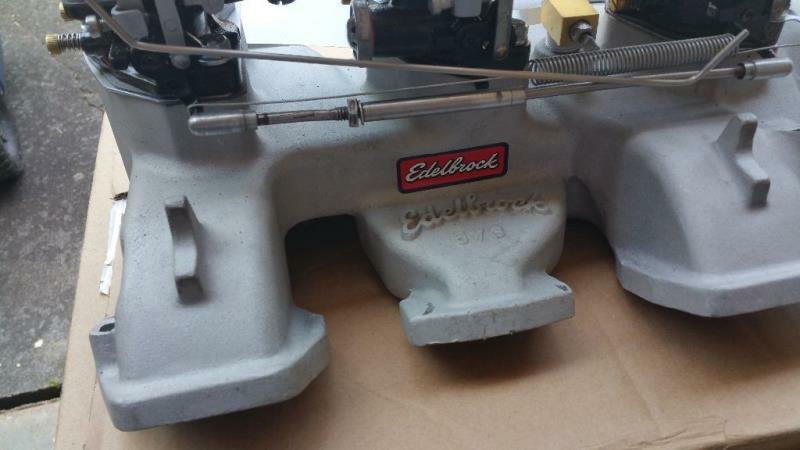 I recently purchased an Edelbrock 573 intake with three Holley 94s and linkage. The carbs look good. I am going to rebuild them so I know what I have. I have been looking on the Internet and viewed all of Charlie Price's Vintage Speed videos. Great information. This setup is going into a 1955 Thunderbird with a new .060 over 292 motor, G heads, 1957 distributor, Isky cam and manual O/D transmission. I have a number of questions. There seems to be differing opinions on how to set this up. Some people say I should remove the power valves and disable the idle circuit on the end carbs. Others say I should run them as they are and use a synchronizer gauge to adjust them. Also, what is the correct procedure for adjusting multi carb setups? 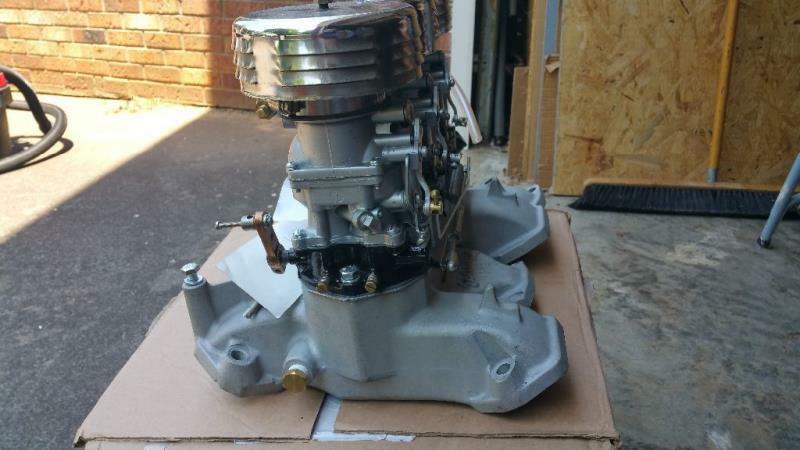 Any input on jet or power valve sizes? Thanks for your help! I have a smaller motor, 283”. My power valves are removed and plugged on the end carbs. Center one is 6.5 if I remember correctly. For jets, I’m running .53 in the center and .51 on the end carbs. 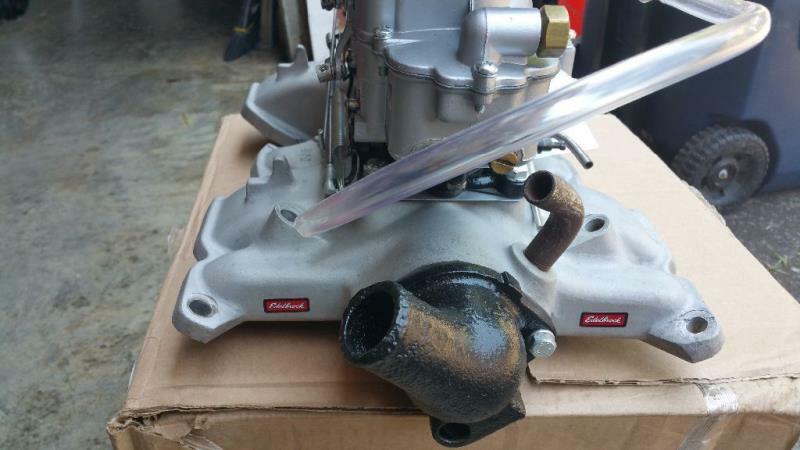 There were .57 jets in all three carbs when I bought it at a swap meet. Too much for my motor. If you are not going to idle on all three carbs a Uni-Syn should not be necessary. If it were me I would remove the end carbs, cover with block offs and get the engine and car driving to your satisfaction on the center carb only. Then I would add the two out side one at a time with no linkage, run and drive. Then add fuel make sure no leaks, run and drive. Repeat with last carb. Then add the progressive linkage. DryLakesRacer. 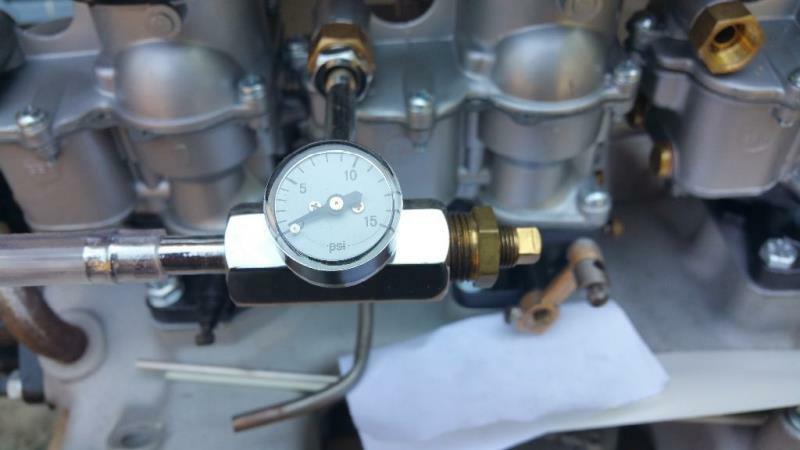 My recollection on the '60's Ford factory 390 and 406 FE tri-power set-ups is that there were idle circuits on all three carburetors. That included the triple set-ups on the M code '62 & '63 Thunderbirds. Handsome eye candy with the mechanical throttle linkage, the thick cast aluminum oval air cleaner pieces (as-cast bottom piece with the top piece polished with raised fins down the center and the 'Bird emblem mounted toward the front edge) and the exposed filter element surround. Sounds like a plan. I found this setup on EBay. It looks good in the photos, but I won't know what I've got until it arrives. 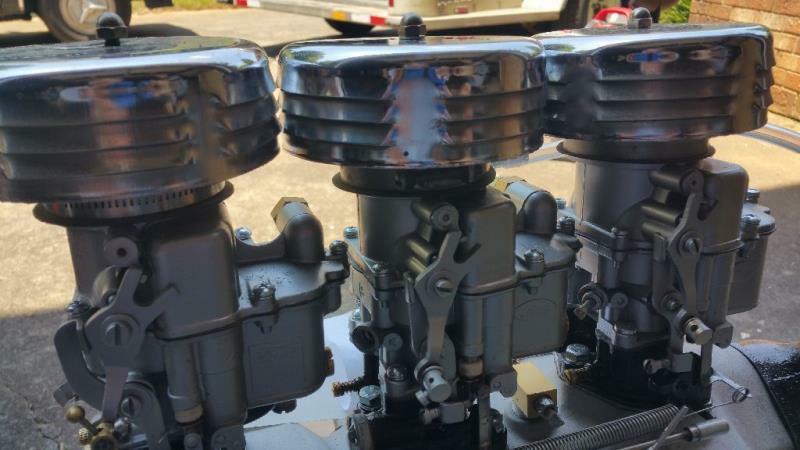 From the photos I can tell the center carb is a little different than the other two. All the linkage is there and the carbs are suppose to have been rebuilt. I made a very low bid and was the only bidder. The seller had 100% feedback, so maybe I got lucky? Besides removing the power valve and the idle circuits, the 94 end carbs are supposed to have different throttle plates. If you look at Charlie's site, you will find them. Paul, Charlie as in Vintage Speed? Charlie of Vintage Speed is great. I watched all his videos. He's here in Florida. Nice to have someone like that still around. One more question please. Where and how do I mount the coil? I am interested to see a Picture of the Setup You purchased. I can't find it on the "Solds" on Ebay. I been watching Charlie Prices Videos too. One more very knowledgeable Source that will be hard to replace when His Time comes. You are lucky to be within reasonable Distance of His Business if U need anything for your 3 x 2. Here you go. I don't have it yet. I know nothing about it other than these pics. I will be using Charlie to tell me what it needs.